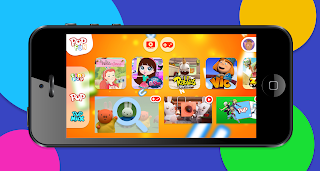 LONDON, UK 14/12/17: Sony Pictures Television Networks (SPTN) has announced that it will be launching a new dedicated kids’ app which brings together shows, games, galleries and competitions from its three networks — POP, Tiny Pop, POP MAX — into a single free app: POP FUN. SPTN which runs the UK’s No. 1 commercial kids channel, POP will launch POP FUN on iOS and Android on Tuesday 12th December and it will be a free, one-stop digital destination for the three channels and their extensive schedule of children’s content. 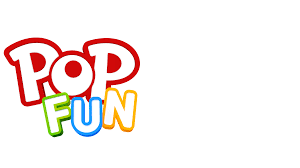 Suitable for boys and girls aged 3-10, POP FUN will feature a range of popular shows on demand including Power Rangers Dino Super Charge, LEGO Nexo Knights, Zak Storm, PJ Masks, Rabbids Invasion, Miffy’s Adventures Big and Small and Alvinnn!!! And the Chipmunks. SPTN’s kids channel brands – POP, Tiny Pop and POP MAX - will feature distinctively on POP FUN; ensuring kids can find their favourite shows as easily as if holding a remote control. From launch kids will also be able to get creative with POP FUN’s exclusive Artpad, a creative drawing tool which includes colour-ins and stickers of their favourite characters; and interact with specially created games including Match-Up and Spot the Difference. POP FUN also allows parents to submit birthday mentions for their children to be featured on TV within the Tiny Pop Birthdays video. The app, created in partnership with creative agency Jollywise, has been developed to be a safe space and provides customisation and personalisation features, to ensure a safe environment for children. Profile customisation allows users to select their age and favourite channel which then filters appropriate content. 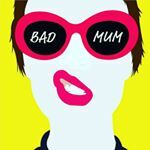 The POP FUN mobile app launches on iOS and Android today and is free to download from Apple’s App Store, Google Play Store and Amazon Appstore.